Rick Erwin has been described as a marketing leader with entrepreneurial style and has recently joined Acxiom to be the President and General Manager of the Audience Solutions Division where he will drive strategy, growth and profitability of their industry-leading data products and services. 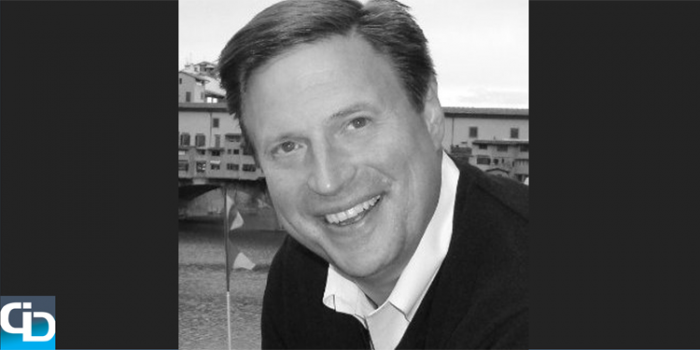 Prior to Acxiom, Rick spent 10 years as President of the Consumer Insights and Targeting Division of Experian Marketing Services and prior to Experian, he held numerous senior management roles during his 12 year tenure at RR Donnelly. icrunchdata talks to leaders in data analytics to explore who they are inside and outside of the data, and we recently caught up to Rick to ask him a few questions about his career and his interests outside of the office. Rick, thanks for talking to us today and let’s get started. You were just appointed as the President and General Manager, Audience Solutions for Acxiom and started in April. The Audience Solutions division is a newly formed division that is comprised of Acxiom’s Data and Decision Sciences assets. What are your top responsibilities as the department’s President and General Manager? I’m very excited to be a part of Acxiom. In my role I lead the P&L for our data and analytics business globally, which we refer to as “Audience Solutions”. My job is to grow it, make it more and more valuable to our clients, and ensure that it is profitable as it grows. What does the term ‘Audience Solutions’ mean to you? All advertising is directed at an audience – a defined group of people for whom the marketing message is intended. At Acxiom, we believe that in the near future, all consumer advertising will be done using first party and third party, individual-level data. That happens to be our wheelhouse, and it has been true for many decades. We use our vast data assets, our analytical methodologies and technology platforms to make that type of 1:1 advertising possible for advertisers in all types of media. You are two months into the role and are now based out of Redwood City, California. Has there been anything during the transition that has surprised you? Yes – the quality and depth of talent at Acxiom, at all levels of the company. I always knew Acxiom was a formidable competitor, but until I was inside the company, I didn’t realize just how strong our team and culture is. It has made me even more enthusiastic about joining the team. In the next five years, what do you think will be the biggest shift in how companies use analytics to market to and communicate with their customers? I hinted at it earlier – we are in the midst of a fundamental shift in the way advertising is planned, executed and measured. We grew up in a primarily analog media world, where each ad impression was directed en masse to a large audience and the advertiser and their agency made their “best guess” as to whether or not it reached its target efficiently and whether it worked. But nobody was terribly certain. This approach carried a great deal of wasted ad spend, but it was still better than the alternatives at the time. Now that most media is digital it is addressable at the individual level, and we can use predictive analytics to ensure that we reach the audience that is most likely to find the ad message relevant to them. We can use sophisticated omni-channel attribution to determine what worked and why. We’re not fully there yet, because we are still transitioning all of the supporting technologies, platforms, tools and data from the older, more wasteful system of yesterday to the new, more efficient one. I must say there has never been a more interesting time to be a part of data-driven marketing because of this very transformation. You are a Board Trustee for the Shedd Aquarium, the largest indoor aquarium in the world located in downtown Chicago. What is your favorite part about the Shedd Aquarium? From my earliest years, I have held a deep fascination with freshwater and marine environments. I have vivid memories of kneeling over a tide pool in coastal Maine as a six-year old, peering at the hundreds of creatures in that little world. What I love most about Shedd is seeing that same look of awe and wonderment on the faces of the kids who walk through the Aquarium. Being able to say that I am a small part of making that possible for kids is a lifelong dream of mine. You received your Master’s degree in Business Administration from Northwestern and have spent the majority of your career in Chicago. With all of that experience in Chicago, who has the best pizza? Only two things are certain here – first, Chicago deep dish pizza is actually more of a casserole than a pizza, and anything more I say about my favorite pizza will get me in trouble with somebody. So I will side step it by saying that my absolute favorite Chicago food is a double char-dog at Weiner’s Circle in Lincoln Park. Chicago hot dogs are an original work of art that nobody has copied well anywhere else in the world. Scuba diving. There is no such thing as too much of that, as far as I’m concerned. If you could meet your 25-year-old self, what piece of advice would you give? I would say, “See all of those really accomplished people that you admire, in all walks of life? You think that to have achieved what they have, they must have it all figured out. But they don’t. Everyone is trying to make sense of the world as best they can, just like you. So get out there, follow your dream, take more risks, and don’t worry about failure, it will only make you more likely to achieve the success you seek.” And alas, my 25-year-old self would probably not understand what I was talking about. And that is a perfect way to end our conversation. Rick, thank you very much for taking the time to visit with us today to discuss your new role at Acxiom and a few of your interests outside of the office.